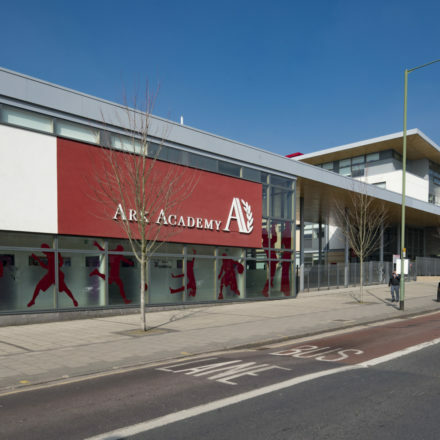 The Ark Academy required a new sixth form expansion to the existing primary and secondary Academy school in Wembley, the proposed site was located on a tight corner area of green space. 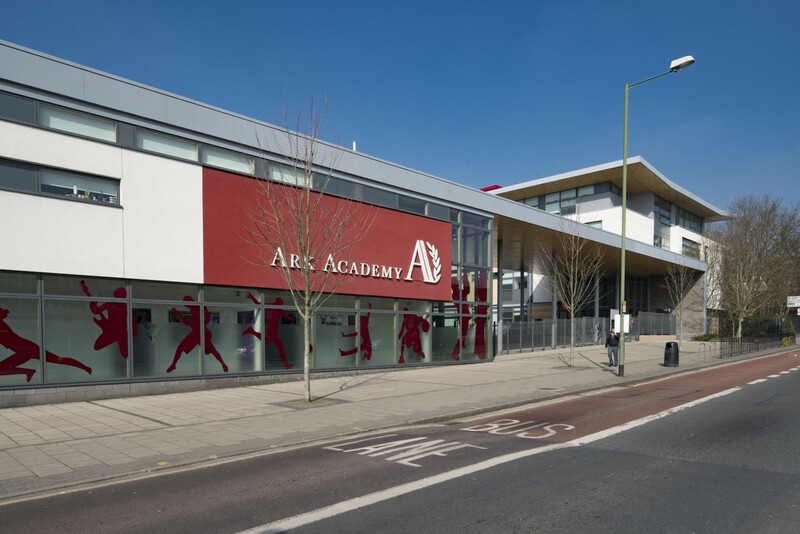 Due to active conservation policies at the Academy, the development included a thoroughly considered landscaping strategy that will look to enhance biodiversity and existing habitats. 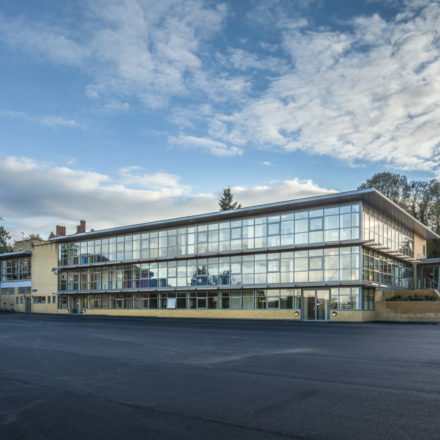 The external works on the project included new mains utility connections, piled foundations with precast plank concrete slabs, erection of steel frame with Metsec wall finishes and the installation of high performance, energy efficient windows and doors. 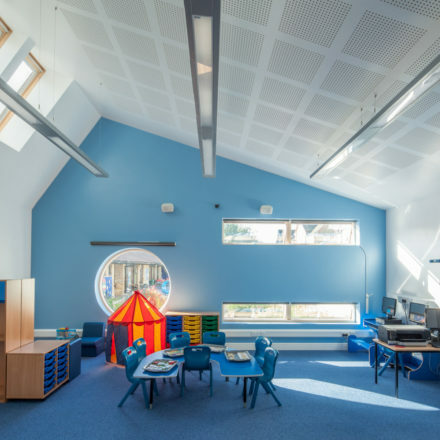 The internal works included the installation of acoustic folding walls, plasterboard, suspended ceilings with vinyl and carpet floor finishes throughout. 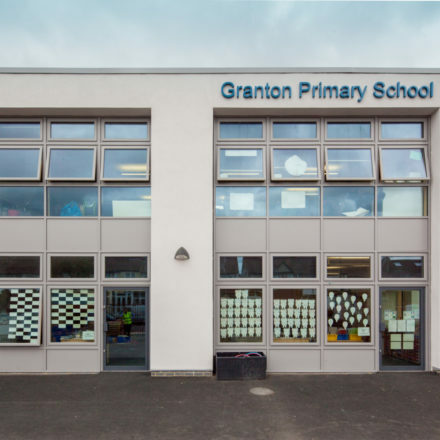 Throughout the duration of the project we worked in a live environment meaning that pre planning of works was imperative to ensuring that the daily schedule of the school was unaffected. On the site there were a number of tree protection orders and preserved woodland which involved timely planning administration works. Another issue that had to be overcome was an existing substation on site, meaning that groundwork needed to be redesigned to avoid existing mains cables. 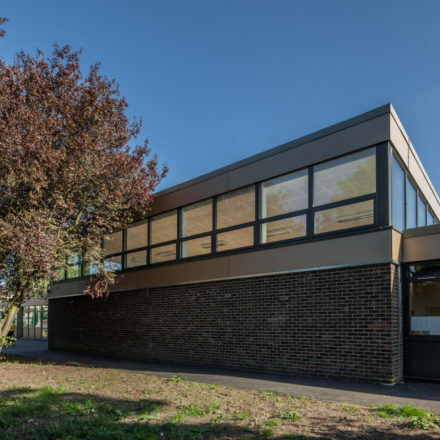 The school was very pleased with the end finished project and have put us forward for further work at the school based on our performance. 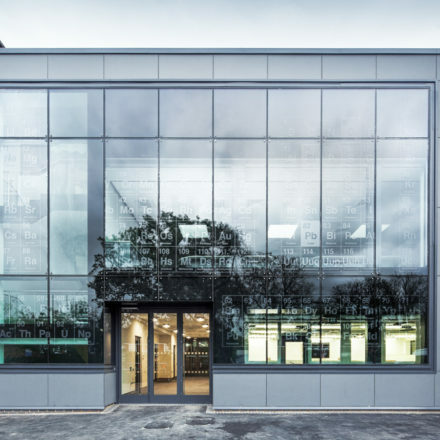 This project with Lambeth Council was a three phase design & build works. 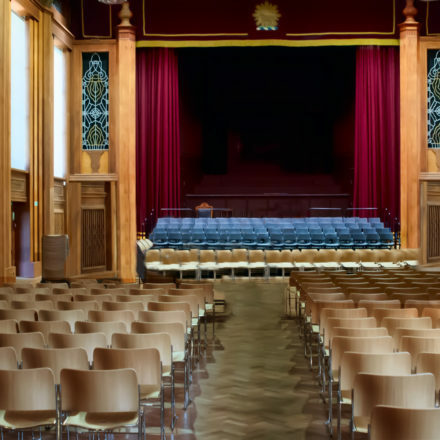 This project consisted of the internal alterations, refurbishment and upgrading of The Great Hall. 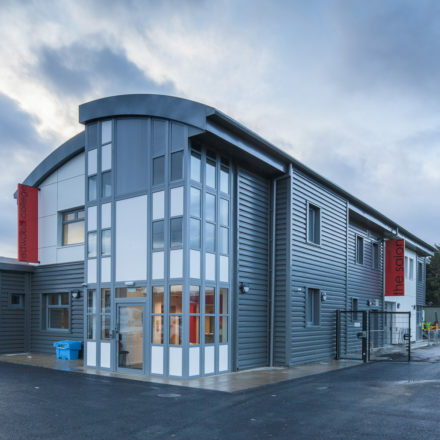 Timber cladding and unconventional shapes give this new addition to Sacred Heart Primary School.